Insurance is the big thing in the dynamically growing world, insurance for different purpose comes in different flavors and different rules based upon the kind of insurance policy you have taken. 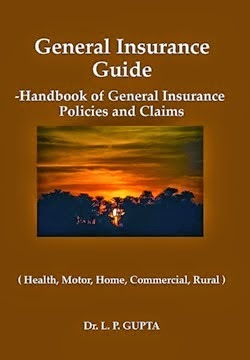 India insurance guide is the complete reference for insurance policies, how to claim them and what rules are involved. 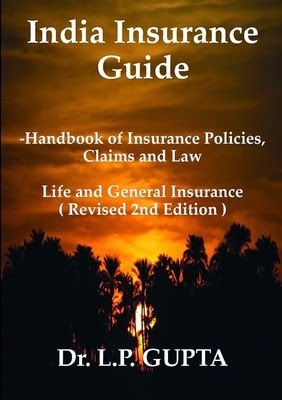 India Insurance Guide-Handbook of Insurance Policies, Claims and Law is a fully updated and revised 2nd Edition. It is a Reference book on Insurance and Insurance sector in India and covers both Life and Non-Life Insurance with important statistics. Review of India Insurance Guide has been published by Times of India & Asia Insurance Review (Professional magazine published from Singapore). Foreword of book has been written by honorable Justice (Retd.) N. K. Jain Former Judge of M. P. High Court, Ex-President, M. P. State Consumer Disputes Redressal Commission Bhopal. This updated Reference Book on Insurance explains theoretical & practical aspects of Insurance Policies, Claims & Law related to life & non-life insurance in India & would be found very useful for insurance consumers, students of insurance, Lawyers, insurance professionals, financial consultants, Insurance claims consultants and must for every library in India. This book would prove to be a very important supplementary training/study material for Training Programs conducted for Insurance and bank employees, Insurance agents, Insurance brokers, Insurance surveyors, Third Party Administrators, Courses conducted by Insurance Institute of India, College of Insurance, PG Diploma in Life/General Insurance, MBA in Insurance/Finance, etc. Apart from india insurance guide , Mr. L. P. gupta has written couple of other handbooks for insurance named as "General insurance guide" and "Insurance claims solutions"